Clear Impressions Solar & Security Window Films provides residential, commercial, and automotive window film in Jacksonville, FL, and the surrounding areas. Window tint cools your properties’ interior spaces, lowers your energy costs, and helps secure your property from prying eyes. We are licensed and insured to offer you the best window-tinting services in northeastern Florida. Our customer service is top-notch and we are committed to achieving 100% customer satisfaction every time. As a family-owned-and-operated business for 15 years, we pride ourselves on meeting the needs of local families and businesses. 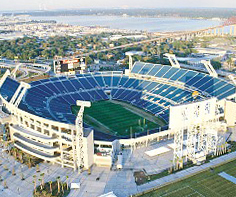 Our technicians have provided excellent products and services throughout the community, working on everything from tinting windows in tract homes to implementing Clear XIR® technology on every press box, skybox, and coach’s booth in the Jacksonville Municipal Stadium. Let us install window films in your office, business, or home for improved energy efficiency and security. Modern automotive window tints in Jacksonville are free of dyes, and they help drivers to see the road better at all times of day. These films reduce the amount of heat from an unforgiving North Florida sun, so you and your passengers can stay comfortable—even when temperatures rise. Protect your auto glass with our huge variety of window films in Jacksonville. 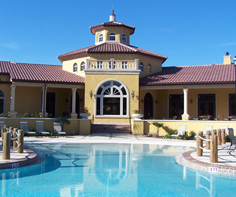 We use state-of-the-art technology and superior products to deter excess heat. In addition, darker window tints safeguard your vehicle from theft, concealing the items inside the vehicle from would-be thieves. Do you desire an artistic touch on your window tint? Clear Impressions Solar & Security Window Films offers an array of decorative window films. Opt for films that emulate the look of etched or stained glass for a look that adds class and increases the overall value of your vehicle. Call us today at (904) 302-9320 to learn more about our window films in Jacksonville, FL for your home, business, or auto. We also proudly serve clients throughout Jacksonville Beach, Neptune Beach, Ponte Vedra Beach, St. Augustine, Green Cove Springs, Orange Park, and Fernandina Beach, Florida.